Several details have emerged of a complaint filed by 17 states against Apple [PDF] and two publishing houses. 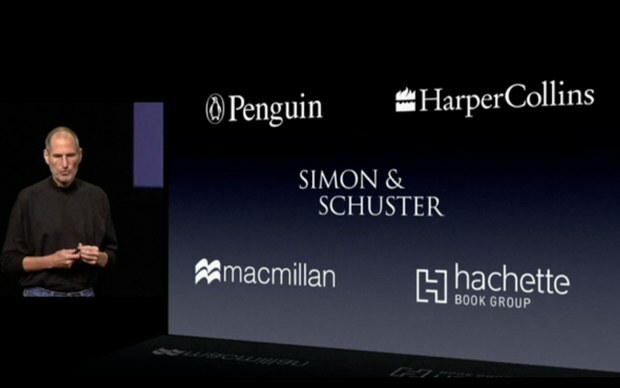 This is always the accusation of collusion between Apple, Macmillan and Penguin to fix - upward - the prices of electronic books. The complaint is not new, but some elements remained hidden and they have just been made public (via PaidContent). 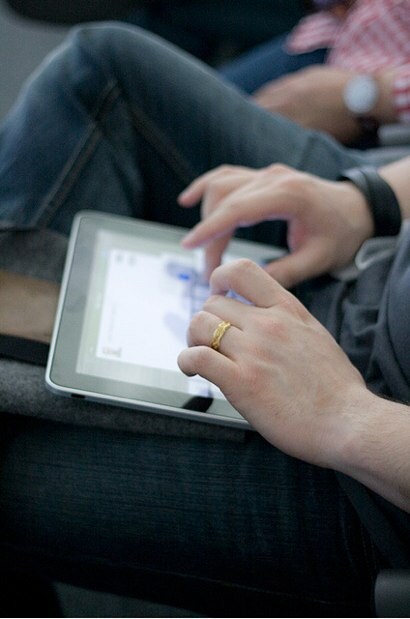 Since the marketing of the iPad, analysts are scratching their heads to bring the miracle tablet in their accounts. The iPad has to weigh it in the market share of computers? Tablet PC? Is there a separate category ("media tablet")? Is it different from a desktop or laptop? With 5.2 million Macs and 15.43 million iPad sold on its last quarter record, Apple is by far the world's largest manufacturer of computers if the tablets were not aloof (Gartner estimates that HP has elapsed 14.7 million PCs in the last quarter). There is the "scientific" definition of the computer, and the meaning we will actually use. There was a time when the lack of removable media (floppy disk, optical disk or other) was sufficient to disqualify the unit. 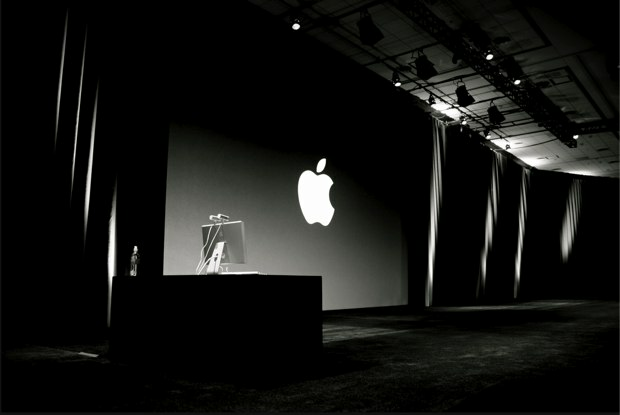 Apple presented its financial results for the first fiscal quarter of fiscal year 2012. 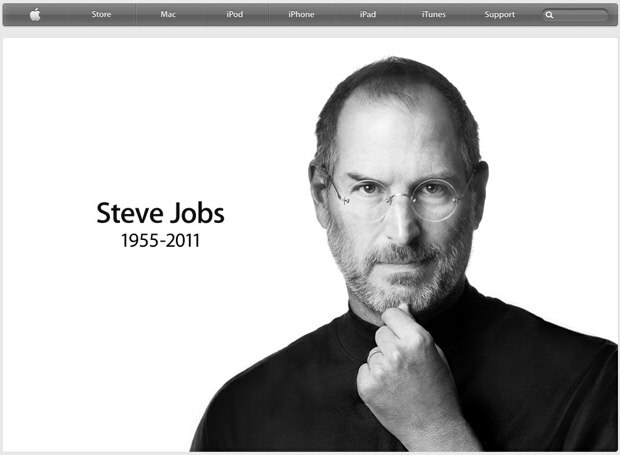 This quarter, which ended December 24, 2011, is the first since the death of the co-founder Steve Jobs. Quarter holiday season, the T1 is traditionally a "big" quarter, and it is further reinforced this year by marketing the iPhone 4S, which should have a positive impact on the turnover, the profit and gross margin. Peter Oppenheimer, Apple's chief financial officer, and had set a very ambitious target to $ 37 billion in revenue and earnings per share of $ 9.30 per share. At the Macworld 2005; Steve Jobs introduced small Apple products including the iPod shuffle ... and the Mac mini. Today they celebrate their seven years. 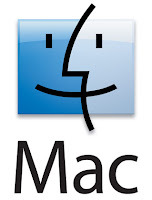 According to some it is the Board of Directors, at a time when Apple was preparing its passage Intel, which would have led to the creation of the Mac mini, against the advice of Steve Jobs. 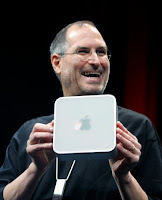 According to others, is the successor to the G4 Cube, and Cube NeXT before him, and therefore born from the will of Steve Jobs, obsessed with the idea of ​​a desktop clean and simple, the antithesis of tower PCs. The truth is probably somewhere halfway: the board of directors at the time was eating into the hand of Steve Jobs and the Mac mini is far from the versatility of Cube. K.O Gadget received a letter ordering him to Apple to stop selling its iPhone 4/4S kit ($ 79.90) which allowed the Apple logo light up. Reproducing the system in this laptop brand. 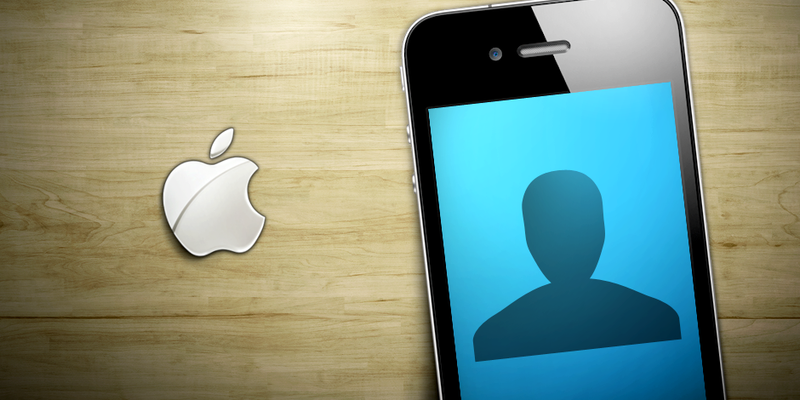 Apple sees this as an infringement on the copyright of its logo. 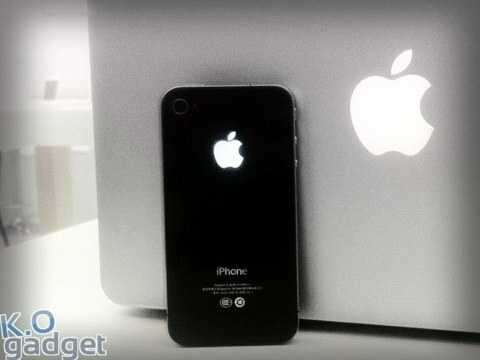 Ko Gadget also proposed a variation with the famous Apple logo which would fit the profile of Steve Jobs. The user will receive a kit to install itself, including a new back cover (thinner than the original) and a backlight of the size of a fingernail to plug in the iPhone. The logo lit up along the screen and remained 15 seconds after switching to standby phone. He was also active when the iPhone to the ear. 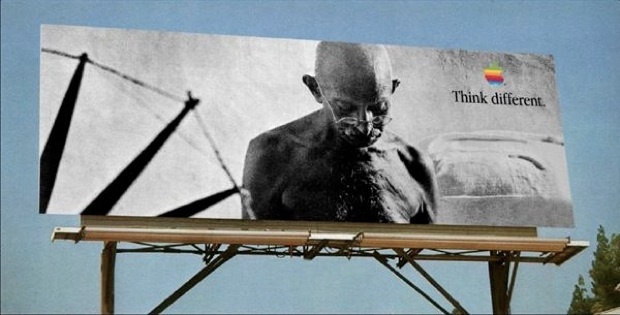 The campaign 'Think Different' preceded the return to favor Apple products. Rob Siltanen, who designed one of the key elements of this advertisement, is back in a long article in Forbes on its genesis and contributions of each other, the advertising agency to Steve Jobs. With the desire to offer a more robust account of the facts and sometimes more accurate than has done to his liking, the biographer of Jobs who devoted a few pages to this episode founder of the new Apple. If sketched recent years, various manuals bloom to reproduce the winning method of Steve Jobs, they obscure the essential ingredient: the man himself. 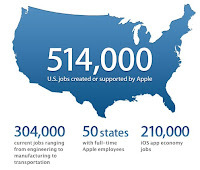 Number of Cassandras have announced the end of Apple with Jobs that of both the man and his company have seemed inseparable, supporting their argument on the dark years of Apple in the absence of Jobs (and conveniently forgetting well the huge difference in context). Without his visionary angel in charge, who may well spur engineers and designers, and push them toward excellence? The error is precisely to try to do without Jobs. Vic Gundotra, senior vice president at Google, he does not say enough about its competitor "Scott is a pretty amazing type. For the management of a team developing an operating system, it is one of the best I've seen." Businessweek points out, however some of his mistakes, more substantial anecdotal or even if he was not directly responsible. One during a keynote when disguised as a scientific and an iPhone he missed a demo supposed to be funny. A wolf that Steve Jobs reminded him several times in the teasing in meetings that followed. Then there was the case of the iPhone 4. Jobs wanted to limit the number of prototypes that engineers could carry with them. Forstall persuaded his boss to let a few dozen of his men take the future iPhone to test it under real conditions of use. The rest is history. Random factors that did not prevent the vice president to consolidate his position at Apple. He also pushed the acquisition of Quattro Wireless, which became iAd and was counsel for the acquisition of the origin of Siri. 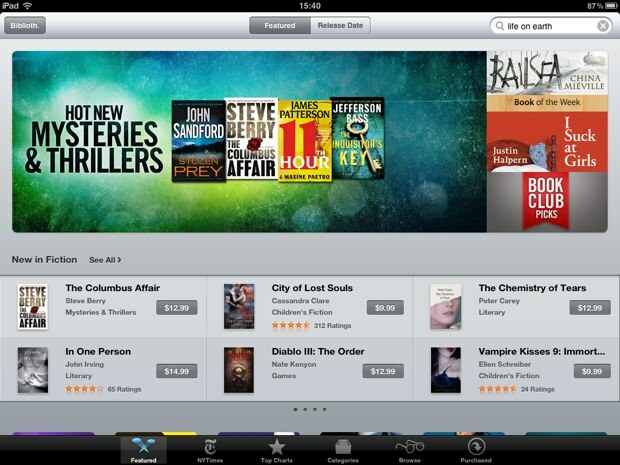 It is said also well received by developers iOS third parties. 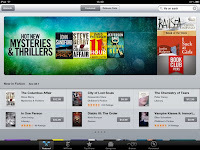 A community in which Apple said it had donated $ 3 billion in two years that the App Store opened. Analysts and developers who have had to work or chat with Forstall stressed his ability to listen: "Forstall took detailed notes, without pen, paper, or laptop. "He listens to you and starts typing on his iPhone," said Matt Murphy, partner at Kleiner Perkins and the manager of a fund that invests in iOS developers. "You think he does not care what you say and he is sending an SMS, and then you realize that it is taking notes." Asked about the possibility of transforming the iPhone into a credit card with NFC (Near Field Communication) has answered more questions, about how developers can benefit from this and what it would bring to users. Clearly, a free technology uses concrete marketing has no immediate interest. It would also have refused to large developers have priority access to the validation of their securities, and that in fairness. 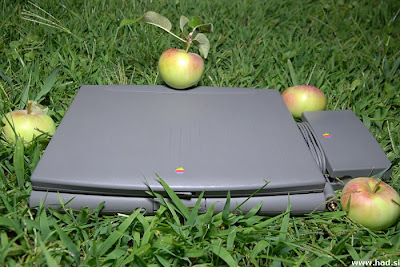 The article ends with the close relationship that bound Forstall and Jobs. The second liked to see the future developments of Ios, in the same way he took a particular pleasure to have a look on the work of Jonathan Ive and his team installed a floor above. Like Cook, Forstall has probably lost both a mentor and ally with the disappearance of Jobs. After 1985, Steve Jobs is a new party - but this time he will not return. We could rewrite history a hundred times, Apple to Apple via NeXT and Pixar. One might point to Steve Wozniak, Chris-Ann Brennan, Bill Gates, John Sculley, and others. Or it could simply be quiet and let him talk Steve Jobs, one last time. 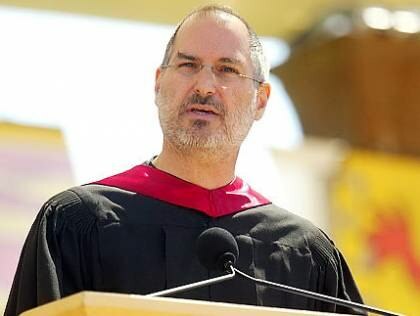 On the life and death Affected by a rare form of pancreatic cancer, Steve Jobs is acutely aware of his mortality, which has inspired his moving speech at Stanford graduation in 2005. "My third story is about death. At the age of 17, I read a quote that went something like: "If you live each day as if it were the last, one day you will end up being right. "She stayed in my memory, and during the 33 years that have since passed, I looked in the mirror each morning wondering" if today was my last day, I do I'm going to do today? "If the answer is no for several days, I know I need to change something. Keep in mind that I would die soon is what I found more radical to help me make important decisions. Because almost everything - what is expected of others, our pride, our fear of failure - gives way to death. Are only the basics. Never forget that death will come one day is the best way to avoid the missteps of believing that we have something to lose. You are already naked. There is no reason not to follow his heart. About a year ago, it was discovered that I had cancer. At 7am, the scanner showed that I was suffering from a pancreatic tumor. I did not even know what a pancreas! The doctors informed me that it was probably a type of incurable cancer, and that I had only three to six months. My doctor advised me to go home and put my affairs in order - a euphemism for "prepare to die." This means having to tell his children a few months all that we thought we could tell them over the next decade. This means trying to make things easier for your family. In short, to say goodbye. I carried this diagnosis all day. Later in the afternoon, I was a biopsy, an endoscope inserted into the throat through the stomach and intestine to stick a needle into the pancreas. I was unconscious, but my wife, who was present, told me that in examining the samples under a microscope the doctors started to cry because I had a very rare form of pancreatic cancer cured by surgery. I was operated on and, fortunately, I'm fine now. This was my closest contact with death, and I hope that this will happen for another few decades.After this experience, I can say with more certainty than when death was to me a vague intellectual concept: No one wants to die. Even those who want to go to heaven do not want to die to get there. However, death is our common destiny. No one has ever escaped. It's for the better, because death is probably the best invention of life. It removes the old to make way for new. Right now, you represent the new, but one day you will become old, and you leave room for others. Sorry to be so dramatic, but it's true. Your time is limited, do not waste it by living the life of another. Do not be trapped by dogma, which require them to live in obedience to the thought of another. Do not let the noise of the outside stifle your inner voice. Have the courage to follow your heart and your instinct. The both already know what you really want to be. Everything else is secondary. In my youth there was an extraordinary publication, The Whole Earth Catalog, one of the bibles of my generation. It was founded by a Stewart Brand not far from here in Menlo Park, and he had led his poetic vein. It was in the late 1960s, before computers and desktop publishing. It was made entirely with typewriters, scissors, and Polaroid cameras. It was a sort of Google in paperback format, 35 years before the birth of Google. An idealistic book, teeming with recipes and great ideas. Stewart and his team have published several copies of the Whole Earth Catalog. When they had exhausted the springs of the formula, they published a final issue. It was the mid-70s, and I was your age. The back cover showed a picture of a country road in the early morning, the kind of roads on which you could make the stop if you were adventurous. "Be insatiable. Be crazy. "It was their farewell message. ' Insatiable. Be crazy. It is a vow that I have always made for me. Today, when you receive your diploma that marks the beginning of a new life is what I wish. Born February 24, 1955, Steven Paul Jobs, co-founder and president of Apple, died October 5, 2011. In a brief statement, his wife, Laurene Powell Jobs and his children Lisa Brennan-Jobs, Paul Reed, Erin and Eve Sienna Jobs report: Steve passed away peacefully last Wednesday, surrounded by his family. In public, Steve was known as a visionary in private, he cherished his family.